Centrica is a company I find myself commenting upon here repeatedly, and not just for administering the slagging-off that companies like EDF get from me. As with E.on and RWE, the changing strategies and fortunes of Centrica are a lens on the gas and power markets. They do good things, they do dumb things, they do interesting things: they are generally at the forefront of developments. And now the Telegraph is tipping it as good value. OK, that's a retail share price perspective, but it immediately raises the question: are they therefore a takeover target ? They've somehow managed to stay independent since inception in 1996, through various ups and downs. They have a very interesting physical asset portfolio, and seem (to me) to be pretty well-managed overall, despite - well, despite all the things we've found fault with over the years: the wingeing and subsidy-seeking, and in particular the buy-in to EDF's new-nuke fantasy (sorry Budgie, there I go again). And, just as with BG plc, that other great UK success-story that spun out of the old British Gas, from time to time they are subject of takeover talk. 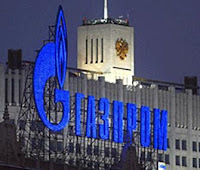 For some obscure reason, it is periodically Gazprom that is mentioned as the prospective buyer. I've explained before why this is deeply implausible: because Gazprom has never been know to pay cash for anything. Ever. Their acquisitions have always been through 'asset swaps', meaning that some grovelling western energy company has pretended a minority share in some Siberian gas reserves has compensatory value they can attribute when they surrender equity in something cash-generative and useful like a pipeline, or gas storage facility, or proprietary technology. But Centrica is a listed company, so cash it would have to be - unless it was part of some epic giga-deal where BP bought Centrica and gave it to Gazprom in return for ... a minority share in ... well I suppose they just might. But of late there is a new reason why it wouldn't be Gazprom. 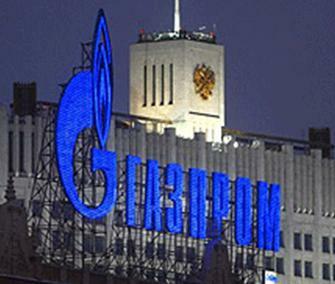 In a relatively quiet but very purposeful manner, Gazprom has been growing - organically - a serious European trading and market base. With big offices in the UK and Germany, they have (somewhat to my surprise) done the job properly, i.e. they have recruited the right type of staff (hundreds of 'em) and, even more surprisingly, allowed them to conduct day-to-day business in a conventional energy-merchant manner, with regular trading, marketing and risk-management practices of a competent, if not leading-edge type. Some of their strategies will naturally be dictated by Moscow: but their operational activities couldn't possibly be: no-one in Moscow has a clue about those things. With RWE in chaos and industrial energy demand about to fall off a cliff like it did in 2008-09, gas prices will fall again and huge stresses will beset the European energy sector. Centrica, E.on. RWE, BG, Gazprom, the Chinese, Gulf and far eastern investors all in the mix: I don't expect the disposition of energy assets to look quite the same two years from now. "EDF's new-nuke fantasy (sorry Budgie, there I go again)". And a happy Christmas to you too, ND. I am not a fan of EDF. It is just that hydrocarbons are so useful for transport and chemicals, "renewables" are so useless and expensive, leaving Nuclear looking such a natural for big plant electricity generation. Never mind Centrica, I keep wondering when the Germans will move on Rolls-Royce. I had something to say about EDF on Wednesday. Energy security is too important to allow the market unfettered control of strategic suppliers to UK plc.